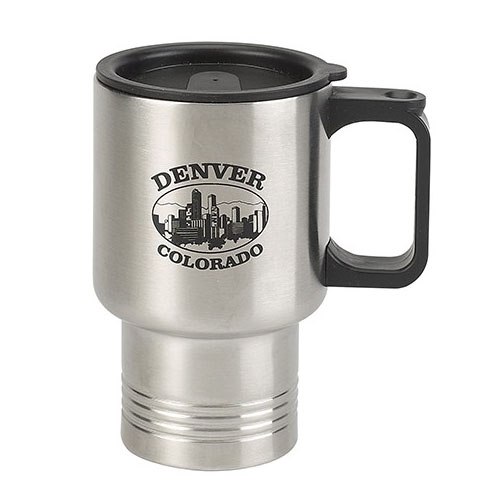 16oz Travel Stainless Steel Mug. Stainless steel liner. Not dishwasher or microwave safe. 5-1/2" x 3-3/8" x 2-9/16"